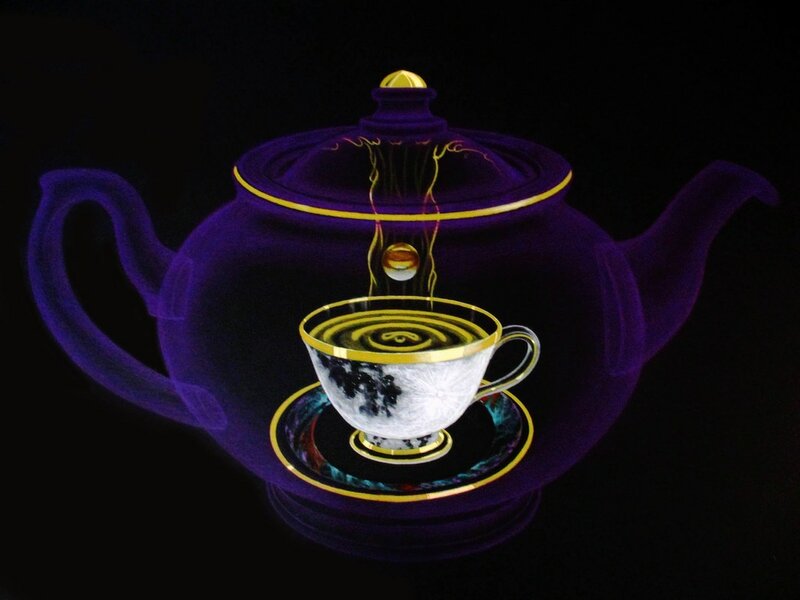 The Qabala Tea Of Mercy (colour pencil & gouache on black paper, 1011x620mm, mounted in perspex). Qabala describes the Bestower force flowing into the Receiver in order that it/we attain ‘equivalence of form’ with the Bestower. It features prosaic representations in the form of a teapot (from my wonderful departed mother in law), pouring into a cup located within itself. 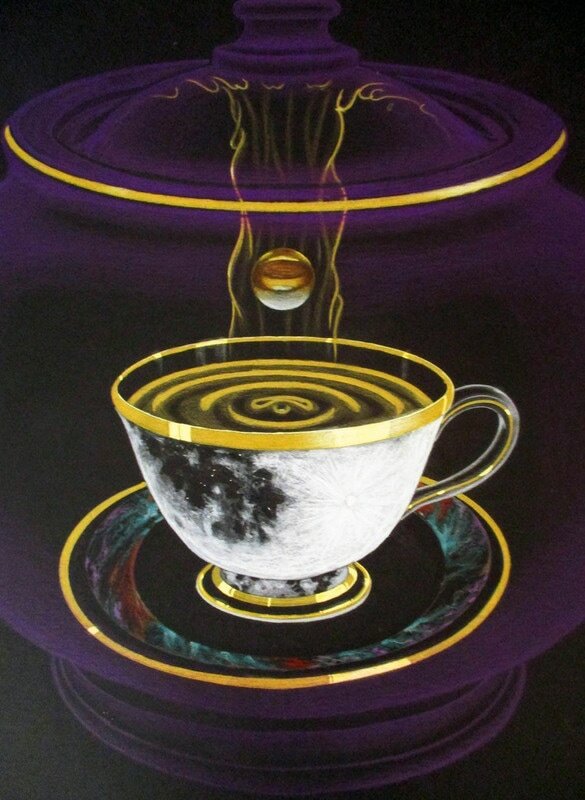 The moon patterned (reflector) cup contents references standing wave and particle / wave experiments from quantum physics. Elizabeth Tribute. 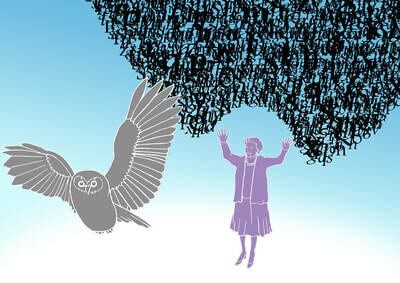 Also is a tribute piece, to my sadly missed mother in law Elizabeth. A very merciful soul. Following her departure, a vision remained in my mental in tray until I completed this image. I saw her raise her arms to invoke the swirling flock of menacing words representing family issues and grievances, to cease. The Ruru Owl, is said in Maori mythology to signal impending departure. That day of her departure, one appeared on a lamp post outside our house, never to be seen again.